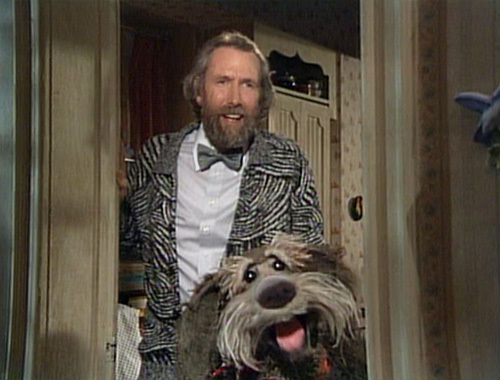 Jim Henson in A Muppet Family Christmas. I have to say that I really enjoy most of the Muppet-related holiday programming put out throughout the years, but my favourite, by far, is A Muppet Family Christmas. There's just something remarkable about this particular special that sets it apart of the others. I don't know if it's the combination of Muppets, Sesame Street and Fraggle Rock that come together, if it's the awesome selection of songs, the incredibly humorous bits, the setting of Christmas in the country, the touching moments or even Jim Henson's cameo at the end. I'm simply amazed by it all and this special works on so many levels. I can watch this one every year and, for the most part, I do. It helps that this is one of my wife's favourites as well. I have a copy on VHS and, each year, I'm always hoping that my VCR will keep on working! I was born in the late 1970s, but remember seeing many classic reruns each year from the 1960s (Grinch, Peanuts, Rudolph, Frosty, etc.) and I was pretty sure that I was going to choose that decade as my answer, but then I started thinking about the shows I watched and enjoyed when I was 9-10 years old that I still love today. Christmas is closely tied to nostalgia, among other things, and many of the specials that impressed me as a young boy were produced in the 1980s: A Garfield Christmas, Mickey's Christmas Carol, A Claymation Christmas Celebration, A Muppet Family Christmas (see above! ), For Better or for Worse: The Bestest Present, Bluetoes, The Christmas Elf, The Christmas Raccoons and so many more. The last few titles might be more obscure for some of you, but being from Canada, these were regularly broadcast each year. Then, looking online for other 1980s programs or movies, I discovered that so many of the classics I enjoy today were made during that decade. I could list many, but here are just a few that stand out: National Lampoon's Christmas Vacation, A Christmas Story, Scrooged, A Christmas Carol (with George C. Scott), One Magic Christmas. from 1974's 'Twas the Night Before Christmas. Can I cheat here as well and suggest two Christmas Eve dinners? I would have a Christmas specials dinner and a Christmas movies dinner. For my Christmas specials dinner, I would start with How the Grinch Stole Christmas, which is a special that I have always watched early in the viewing season. It's also one that involves quite the feast, so I think that it's appropriate for a dinner. My entrée would be the tried and tested Rudolph the Red-Nosed Reindeer. I know that this is like serving rubber chicken (or turkey), but it's a staple. Christmas wouldn't be Christmas without seeing Rudolph at least once. 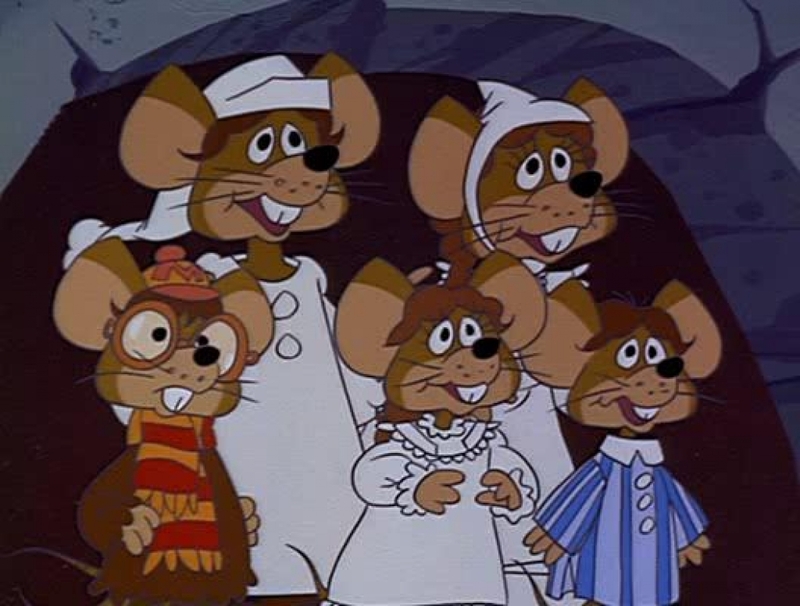 And for dessert, I suggest 'Twas the Night Before Christmas, the 1974 Rankin-Bass special that is quite entertaining. My brother and I started collecting VHS tapes of various Rankin-Bass specials and have watched this one together for a number of years on Christmas Eve as the last special in our Christmas programming marathons that we used to do. I still enjoy this quirky story filled with great songs. For my Christmas movies dinner, I would serve up Elf as an appetizer. What better way to kick off the season with a laugh-a-minute movie that has become an instant classic. Then, as the main course, I would suggest Miracle on 34th Street with Natalie Wood and Edmund Gwenn, which I believe is such a simple, yet well made movie and Gwenn is remarkable as Santa Claus. Finally, for dessert, I'm suggesting The Gathering, the 1977 TV movie starring Ed Asner. I only discovered this movie in 2011, but have watched it almost every year since then. I love so many aspects of this movie including the simple, yet recurrent score, the setting with real snow!, the acting by the entire cast, the arrival of the estranged son on Christmas morning (this is a touching moment), the magic of getting your family together and putting aside your differences for the greater good, the traditional elements of Christmas such as decorating the tree, opening gifts, caroling and so on. Overall, there is something about this TV movie that resonates with me and I like to close off my pre-Christmas television viewing with this one (that's right, pre-Christmas viewing because I continue to watch specials and movies until early January!). I thought long and hard about this question. I even debated not sending a response at all to your questions, because I couldn't think of an answer for this question. Then, I started thinking about where to put Andy Williams in my responses. I love Andy Williams' Christmas albums and his television specials. For many years, I would watch his compilation special on PBS during my local station's annual pledge drive. My wife recently bought me a DVD of a recorded show from the Moon River Theatre he did in the 1990s. I love all of these and wondered what it would have been like if Andy Williams had starred in a Christmas movie musical during the 1960s when his annual specials were at the height of their popularity. I can just imagine how great it would be to have song and dance numbers that looked like those in the specials. I would definitely think that this would have become an instant classic. 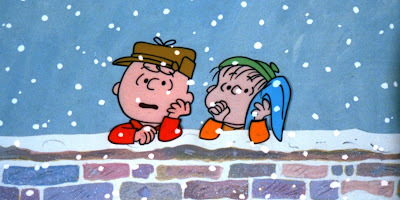 from 1965's A Charlie Brown Christmas. As I'm sure everyone will say, this is a hard question to answer. Just in my responses above, I could easily select half a dozen to include in a time capsule. I'm going to choose A Charlie Brown Christmas. I don't know why I'm choosing this one because, as a child, this one always aired before Garfield and I always looked forward to the latter and, as an adult, A Charlie Brown Christmas still isn't my favourite, but I appreciate it for all that it represents: a simple story, a commentary on the commercialization of Christmas, Linus' memorable scene quoting the gospel, the iconic soundtrack, its place in Christmas programming history, the use of children as actors, the funny elements and more. I was trying to think of a movie or special that addresses the core values of Christmas and the reason that we celebrate. I immediately thought of Linus' scene and that sealed the deal for me in choosing this special for the time capsule. I'm a big fan of the FOR BETTER OR FOR WORSE special, too. It captures Michael's early sarcasm and the relationship between Lizzie and her dad perfectly. The later CHRISTMAS ANGEL is also cute. I have a copy of CHRISTMAS RACCOONS, because Rupert Holmes is one of the voices and did the music (with Rita Coolidge). Interesting choices all around, Patrick. I love how you have two dinners...it's the only way to include more Christmas programming. And CI'm impressed that you included the George C. Scott version of A Christmas Carol. It's excellent. Patrick... Andy Williams in a Christmas movie is such a wonderful idea, wonder why they never thought of it. Of course, it would have been a musical, like 'Holiday Inn' or 'White Christmas.' What a fantastic thought... if only they would have done that!